It’s time for another guest post! Today we’ve got a piece by freelance writer and Harvard Divinity School student Hannah Gais on the recent schism between the Russian Orthodox Church and the Ecumenical Patriarchate of Constantinople over the latter’s decision to give Ukrainian church leaders permission to form an autocephalous Ukrainian Orthodox Church. Hannah argues that, more than two centuries after the rise of the nation-state profoundly impacted the history of Orthodox Christianity, the church as an institution still doesn’t really know how to deal with the concept of the nation-state. In a first, we’re pairing Hannah’s piece with an interview I did with her, so check that out if you’re looking for more context for the schism. Months after thousands of Ukrainians took to Kiev’s Maidan Nezalezhnosti, or Independence Square, to voice their frustrations with the Russian-backed Ukrainian government’s decision to pull out of an association agreement with the European Union, Russian President Vladimir Putin addressed both chambers of Russia’s Federal Assembly to make an exciting announcement. It was March 18, 2014, and Putin was able to declare that Crimea, a peninsula jutting off of Ukraine and into the Black Sea, was part of Russia once again. The victory, his speech made all too clear, wasn’t simply political, but also spiritual. And it wasn’t just Crimea on Putin’s mind that day. The Ukrainian capital Kiev, he intoned, was “the mother of all Russian cities” (mat’ gorodov russkikh), bound inextricably together with the Russian soul by memories of its imperial roots in ancient Rus’. Russia’s 2014 invasion of Ukraine and illegal annexation of Crimea set off a firestorm in international relations that remains unresolved to this day. Crimea remains internationally recognized as part of Ukraine, and Russia’s show of aggression has altered regional politics in and Moscow’s relations with Eastern Europe, perhaps permanently. But it also set fire to an already smoldering religious conflict between Ukraine and Russia—one that has, four years later, set off the largest Orthodox schism in recent memory. On October 15, 2018, the head of the Russian Orthodox Church (ROC), Patriarch Kirill, announced that his flock were severing ties with the Ecumenical Patriarchate of Constantinople, known as the “first among equals” in the Orthodox world. 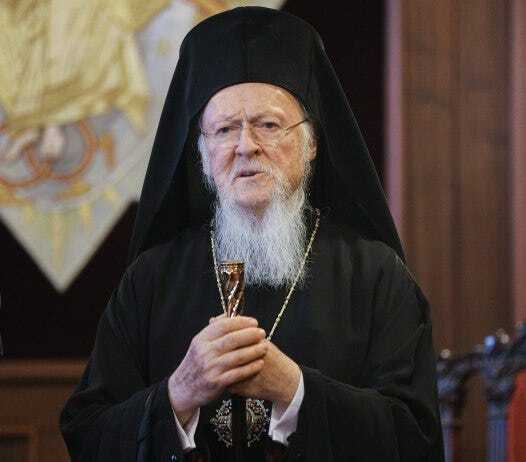 The pronouncement came days after Ecumenical Patriarch Bartholomew announced that he would grant the Ukrainian church a tomos, or official declaration, of autocephaly—a term used within Orthodoxy to denote a church that is “self-headed” (from the Greek autos, meaning “self,” and kephale meaning “head”) and thus can appoint its own hierarchs without approval from a higher-ranking bishop. Citing a pair of documents from 1686 permitting the temporary subjugation of the Metropolitanate of Kiev to the Moscow Patriarchate, the Ecumenical Patriarchate accused the ROC of taking advantage of Constantinople’s tenuous status in the Ottoman Empire at that time. It also opted to restore the canonical status of two previously-excommunicated Ukrainian hierarchs, Metropolitan Filaret and Archbishop Makariy. A few weeks later, with no real solution to the schism in sight, Ukrainian President Petro Poroshenko commanded the ROC to “go home,” saying that the Russian church has “nothing to do” with Ukraine. For the Russian Orthodox Church, this was an insult of epic proportions. In a document announcing the break, Moscow accused the Ecumenical Patriarchate of “revising judgments” of local Orthodox churches in a manner that is both “politicized and self-serving,” while also violating the canons by communing with excommunicated hierarchs. Perhaps fittingly, the term used to describe the split in Russian is raskol, a word typically associated in church circles with the seventeenth-century split between the Russian Orthodox Church and a loose alliance of Orthodox sects that came to be known as the Old Believers. At the moment, the full effects of the schism remain to be seen. What will become of sites like the ROC-linked St. Panteleimon Monastery—which is located at the Ecumenical Patriarch-controlled center of monasticism, Greece’s Mount Athos—remains unclear. So, too, does the tourism industry associated with it. Likewise, although Russian Orthodox believers are barred at present from receiving communion or other sacraments from churches under the leadership of the Ecumenical Patriarchate, it is not obvious how this will play out in the diaspora. Moscow has, as Sotiris Mitralexis observed at Public Orthodoxy, tried to frame “the current disagreement on jurisdiction and autocephaly as a question of faith and heresy.” But our postmodern raskol is born out of motives long detached from theology. Who can and cannot grant autocephaly is a contested canonical issue within the global Orthodox world, but it has also proven to be inseparable from centuries of pent-up political feuds and power struggles. Today’s conflict represents the culmination of decades of disagreement with an answer to one seemingly simple question: What is the role of the nation-state in the church today? To an outside observer, trying to understand the ecclesial situation in Ukraine makes about as much sense as trying to read the U.S. tax code while inebriated. The country is home to four major churches of Byzantine origin. One, the Ukrainian Greek Catholic Church, whose adherents are colloquially known as “Uniates,” answers to Rome but uses the Byzantine rite. The other three can properly be described as Orthodox: the Ukrainian Orthodox Church—Moscow Patriarchate (UOC-MP); the Ukrainian Orthodox Church—Kievan Patriarchate (UOC-KP), headed by Metropolitan Filaret; and the Ukrainian Autocephalous Orthodox Church (UAOC), headed by Archbishop Makariy. Of these, the UOC-MP, which answers to the Moscow Patriarchate, is the largest. Although the Ukrainian autocephalous movement—whose institutional representatives are the UOC-KP and the UAOC—started in the early twentieth century, it wasn’t until the collapse of the Soviet Union in 1991 that it began to pick up steam. Although all three Orthodox churches often found themselves in competition, the UOC-MP remained dominant throughout the 1990s and the 2000s in terms of total number of parishes. Still, as Fr. Cyril Horovun—a frequent commentator on Ukrainian church politics—has observed, “[a]ll of them have enjoyed periods of favour by the state. All of them have also tasted bitterness from the state’s distancing from the churches.” Under Leonid Kravchuk, Ukraine’s first president following independence and an avowed atheist, the autocephalist movement enjoyed state support. An All-Ukrainian Religious Forum, held in December 1991 with the intention of preparing the religious community for independence, batted around the idea of an independent Ukrainian church. Later administrations were not always as friendly, and whether the autocephalous movement was or was not viewed favorably by the government was often dependent on whether the sitting Ukrainian president tended to lean toward Russia or not. Nevertheless, both the UOC-KP and UAOC have seen their numbers grow in central and western Ukraine since 2014. While experts agree that the differences between the three can be difficult to discern on the ground, affiliation with the “proper” jurisdiction has become more and more important in the post-Maidan era. While the UOC-MP has remained uncontroversial in Russia-friendly eastern Ukraine, for many in other parts of the country it came to represent a cog in Putin’s imperialist Russian world (russkiy mir) project—an association that, as Russian academic Nadezhda Belyakova told Meduza, “it was difficult for ordinary clerics to distance themselves from.”As Nikolas Gvosdev told New Republic in 2016, church affiliation went hand-in-hand, at least for some, with one’s position on Russia’s role in the conflict. Jurisdiction “[became] a question of identity . . . not a question of faith.” Jurisdictions deemed politically toxic based on the ebb and flow of pro- or anti-Russian policies in Ukrainian politics, such as the UOC-KP and the UAOC, came back in favor as a nationalist tide swept the country in reaction to the Russian invasion. In a way, Russia’s aggressive foreign policy did more to solidify the autocephalist movement more than its proponents ever could. As it stands now, the Orthodox Church has no institutional mechanism to deal with the challenges posed by the rise of nation-states. While it was, in fact, the rise of the nation-state that helped liberate much of the Orthodox world from the Ottoman yoke, it also gave birth to one of the most complex ecclesiological challenges facing the church since the age of the Seven Ecumenical Councils. The church’s history throughout the nineteenth and twentieth centuries is an unfortunate reflection of this fact. In the 1800s, a weakening Ottoman Empire gave rise to a number of autocephalous movements in Greece, Serbia, Romania, and Bulgaria. Not all were successful. In 1872, the Church of Bulgaria was declared schismatic under the auspices of a heresy that came to be known as “ethnophyletism,” or ecclesial racism. Although Bulgaria’s autocephalous status was finally recognized by Constantinople in the aftermath of World War II, the two churches existed in schism for nearly 80 years. More recent controversies include Moscow’s decision in 1970 to grant autocephaly to the Orthodox Church in America—an entity that traced its roots to late-eighteenth century Russian missionaries in Alaska. Likewise, Russian hierarchs, including Metropolitan Hilarion, the chairman of the Moscow Patriarchate’s Department for External Church Relations, have drawn parallels to the current situation with Constantinople’s efforts to “barge in” on Estonia—or, in more historically accurate terms, reactivate the Orthodox Church of Estonia’s own tomos of autocephaly—in 1996. Though the decision resulted in a minor schism, which was set in motion by then-Russian Patriarch Alexei II, the situation was quickly resolved. In a world where the Russian state has seized upon the church to bolster its own neo-imperial project, an independent Ukrainian church may be a necessity. Still, the Ecumenical Patriarchate’s decision to grant a long-awaited tomos of autocephaly does little to fix the tension between national identity and Christian unity. The notion of churches constructed along national boundaries may tap into Orthodoxy’s tendency toward localization (e.g., the church’s emphasis of the use of the vernacular during services), but it also goes against centuries of practice. For much of Orthodox history, jurisdiction has been mapped along imperial lines. Canons concerned with questions of ecclesial rule, including those that elevated Constantinople to second behind Rome in the fourth and fifth centuries, were not operating with the particularities of the nation-state in mind. But these empires are dead, and the nation-state has risen in their place. That, as Ukraine forcefully demonstrates, has to change. As Fordham’s George Demacopoulos noted in 2015, “[t]hese canons must be reevaluated in light of the political present, with the knowledge that it was always their purpose to align with the political present, not a nostalgic past. Put simply, we need to craft a ecclesial structure that can function without empire.” There is no room for a naively rigid understanding of “tradition” here. Theology may not change, but history is always on the move. Hannah Gais is a freelance writer and graduate student at Harvard Divinity School, where she focuses on Eastern Orthodoxy and nationalism in Russia. You can find her on Twitter at @hannahgais.